Is there a better alternative to Resizor? Is Resizor really the best app in Photography category? Will Resizor work good on macOS 10.13.4? 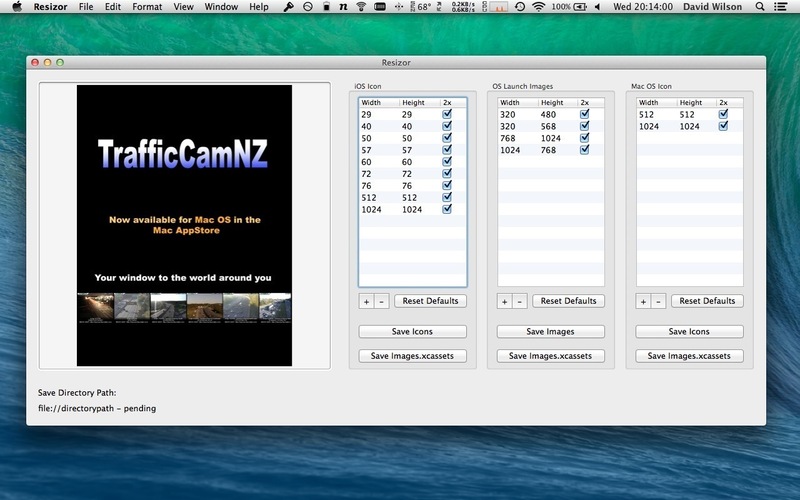 Resizor is a Developer tool that allows for images to be resized, up or down, so that you can use one image to generate sets of Icons and Launch images for both Macintosh and iOS. Drag your source image onto the application image well, Specify the images sizes you want, edit the desired image size information, click the save button for iOS or Mac Icon or Launch Image. Select the folder to save your images into and save. These images can be used as image assets in your Xcode projects. Resizor needs a review. Be the first to review this app and get the discussion started! Resizor needs a rating. Be the first to rate this app and get the discussion started!